Hi all..... Hope everyone is having a safe and warm day. 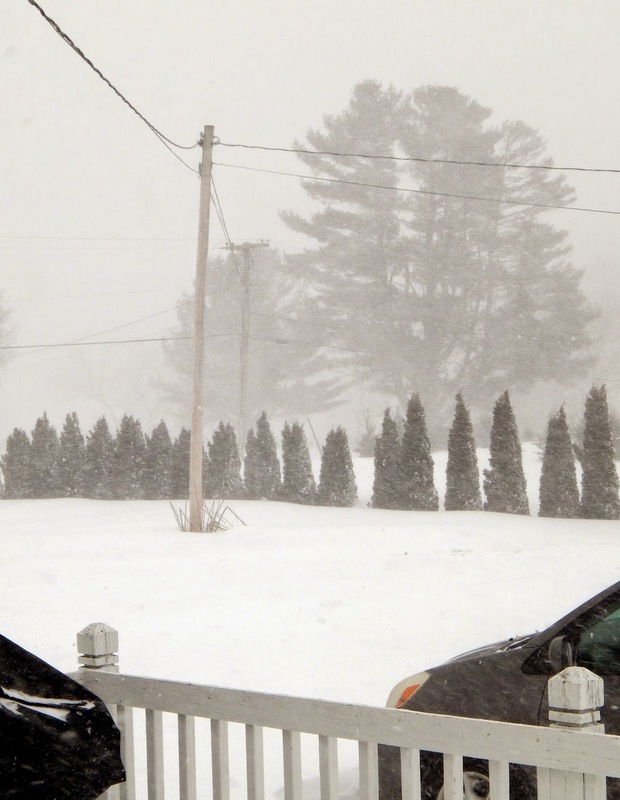 We are in the middle of a blizzard here in Maine. We are expected to get at least 2 feet of snow before this is done. YUCK!! I am so ready for summer!! But a snow day is a perfect excuse to spend some time being crafty. So I spent the morning with my kiddos and then snuck off for a couple hours and made a couple cards. A view out my kitchen door earlier today. In my church we have a lot of guys who love to fish. So this freebie image from Deedee's Digis was the perfect image to create a card for one of them. I started with a dark blue card base and added a piece of blue patterned paper backed in white card stock. I colored the image using Spectrum Noir pens and backed it in dark blue and white card stock. The sentiment is also part of the freebie from Deedee's Digis. I also backed that in dark blue and white card stock. I punched four snowflakes from white card stock and added them to my card. I added diamond stickles to the ice on the image and the snowflakes. Such a cute card! Wonderful sketch and cute image! Thank you so much for playing in my anything goes Monday Morning challenge! That's a lot of snow! Stay warm and be safe!! 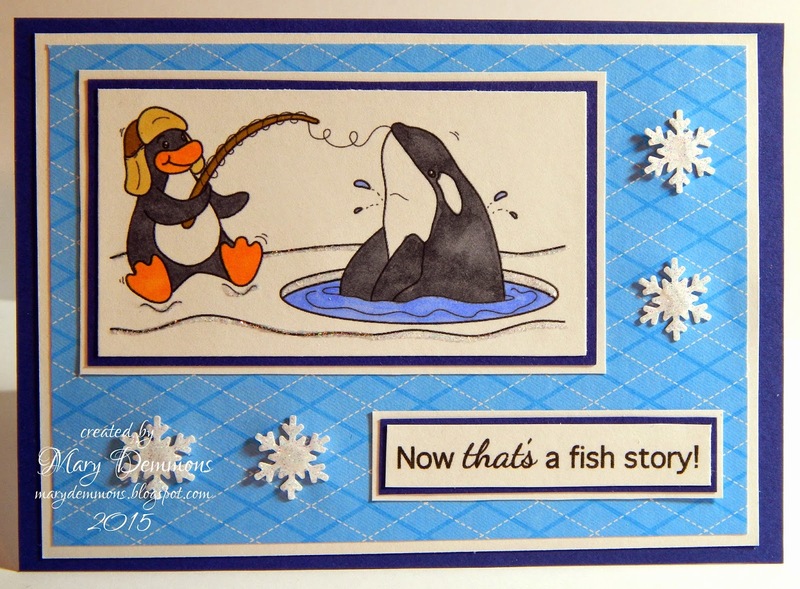 Adorable card and image...love it...and perfect for a "fishin'" guy!! Thank you for joining us at "The Shabby Tea Room" for our "Forecast? Freez'in" challenge! Lovely this card. I like the idea of fishing such a big "fish". Super cute! Love the little snowflakes! Thanks for joining us at The Corrosive Challenge! A really nice and funny image!!!! Your card looks beautiful!!!! Thanks for joining us at the Dream Factory Challenge Blog!!!! A very beautiful card. Thanks for joining us at the Dream Factory Challenge. Eine ganz tolle Karte. Danke daß du bei der Traumfabrik mitmachst. Ha, what a cute and funny card!! Love this scene and the frosty colors! Thank you Mary, for joining us at the Dream Factory.